This post is Sponsored by Elkay but all opinions are mine. Our kitchen has been by far the hardest, most expensive, most rewarding, most challenging, and biggest project in this house. A few weeks ago, we revealed my kitchen in a blog post and now I want to take you on a video tour so that you can get a better feel of the lay out and also you can see how we use the kitchen and how well it is set up for our family. 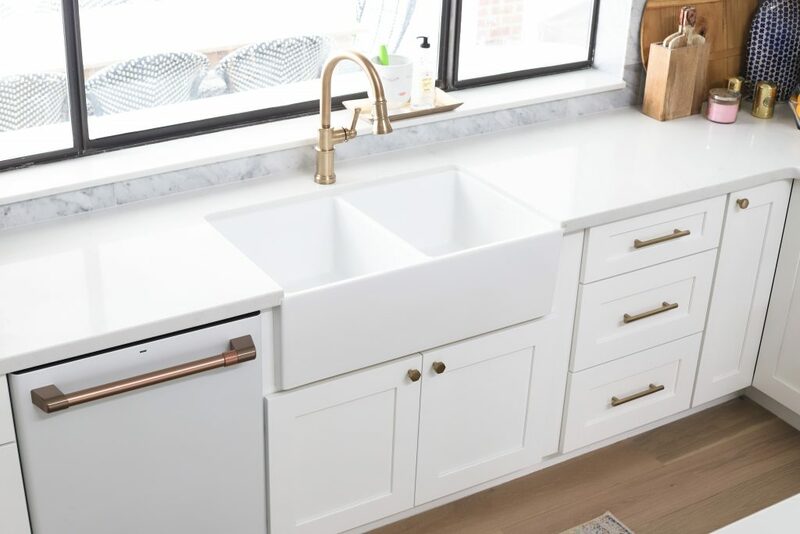 I had an Elkay Quartz sink in my last kitchen you can see it HERE and I am so happy that I have this Fireclay Farmhouse Sink in my new kitchen. When I was selecting my sink for the new kitchen I knew I wanted a white, double bowl and a farmhouse style and the Fireclay Farmhouse Sink[ is so perfect for this space and I love that it truly is the center of our home. You can read more about this beautiful sink and the rest of the links to items in my kitchen HERE. Thanks so much to Elkay for Sponsoring this post.